As you know, AXIS finalized its acquisition of Aviabel in April 2017. Since then, both companies have been working together to provide an even more robust general aviation insurance and reinsurance offering for our clients and partners. Today, I am writing to inform you of some important developments at Aviabel. From the 1st of October 2018, Aviabel S.A. will be merged into AXIS Specialty Europe SE (ASE), which is the legal entity that oversees AXIS' insurance business in Europe. As part of this legal entity merger, Aviabel will write on ASE paper under the Aviabel brand name. Risks written on ASE paper will be backed by ASE. This will provide you with access to ASE's superior group ratings ("A+" / "Strong" by Standard & Poor's; and "A+" / "Superior" by A.M. Best) and risk management capabilities, you will continue to benefit from the enhanced programs and services that we offer as a part of AXIS. You will continue to be serviced by the same Aviabel employees as before - now with the expanded resources and financial strength that AXIS provides. 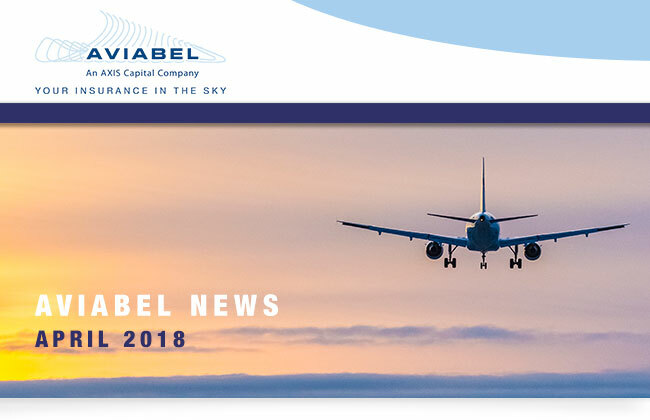 Aviabel will continue to operate its locations in Brussels and Amsterdam, which will operate as branches of ASE, and work with a portfolio of partnerships and clients spanning the globe. The Aviabel brand name will be retained, as well as that of its De Nederlandse LuchtvaartPool business unit, and Aviabel will support the continued expansion of AXIS' aviation business globally. I also wanted to inform you that Cécile Coune will soon depart Aviabel as her mission has come to an end and she will be taking on new career challenges. This decision has been made jointly and amicably between the Company and Cécile. Cécile first joined Aviabel as its CEO in May 2012 and has been a strong leader for the organisation. During her tenure as CEO, Cecile has grown Aviabel's market share in its key markets, retaining the company's strong reputation among brokers and insureds. Under her leadership, the Aviabel team has built upon its legacy of being a highly trusted and respected general aviation insurer and reinsurer known for its market expertise and underwriting talent. We wish Cécile the absolute best and thank her for her contributions to Aviabel and AXIS' Aviation business. I will continue in my role as Global Head of Aviation at AXIS, overseeing Aviabel's Belgian and Dutch operations. Aviabel will continue to operate from its location in Brussels, with Thierry Bourguignon serving as that office's Branch Manager. The NLP office in Amsterdam will be led by Alfred Kroeger, who will continue to serve as its Branch Manager. Enrique Flores will remain as CUO of the combined entities. We are grateful for your support and friendship. AXIS and Aviabel share a commitment to our partners in the aviation sector. Our client-centric philosophy, deep underwriting expertise, creativity and market responsiveness remain unchanged. We look forward to further enhancing how we support your business as we continue to expand our operations as part of the AXIS family. This document is for information purposes only, has no contractual value and does not constitute an advice. We do not represent, warrant, undertake or guarantee that the information in the newsletter is correct, accurate or complete. The SA Aviabel is not liable for any loss anyone may suffer by relying on the information contained in this newsletter. If you do not want to receive our newsletters anymore, you can unsubscribe by clicking here.